Joerg Bergmeister (France), Patrick Long (USA) & Lucas Luhr (France) will team in the Flying Lizard No. 80 Porsche 911 GT3 RSR in the GTE Pro class. Darren Law (USA), Seth Neiman (USA) & Spencer Pumpelly (USA) will pilot the Flying Lizard No. 81 Porsche in the GTE Am class. 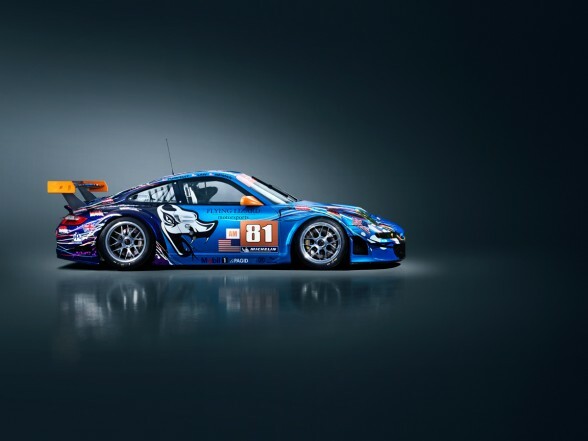 Flying Lizard unveiled a commemorative livery for the No. 80 & No. 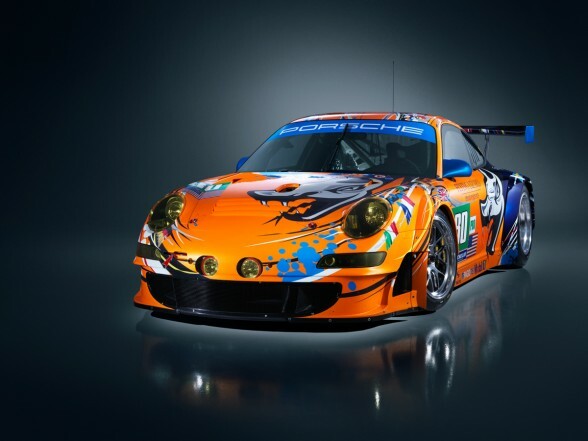 81 Flying Lizard Porsches for the 2011 24 Heures du Mans. 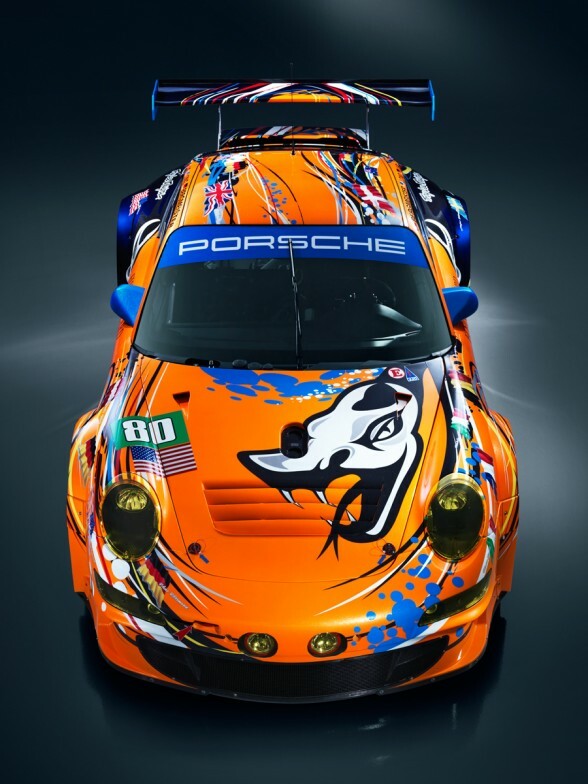 Created by California-based artist Troy Lee, the livery celebrates the history of Porsche at Le Mans, featuring the 28 drivers who have won the 24 Heures du Mans overall in a Porsche. The No. 80 & No. 81 designs are identical, implemented in complementary colors: sweet metallic orange for the No. 80 & sweet metallic blue for the No. 81; both anchored by a deep ocean blue. Primary colors provide a backdrop for the driver names & flags which weave throughout the design on the Porsche 911 GT3 RSR. Huge Flying Lizard fan. Too bad Detroit dont hold races anymore.